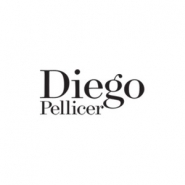 Diego Pellicer is more than just a medical and recreational pot shop. At Diego Pellicer, a well-prepared pipe borne of exclusively high-quality cannabis is beautifully fragrant, sweet, with a slight and pleasant hint of richness. It is the lineage of seed and the experience of the grower that creates quality. It is this natural, earthy flavor and good company that shapes moments into great times, and great times into lasting memories. We take pride in being the most refined Denver dispensary.